I came home the other day and my DVR was acting odd. Only a few shows remained & they were all marked for deletion. A quick check of available space confirmed my suspicions… The hard drive was dying and taking all of my saved content with it. I work with a bunch of “Millennials” and none of them subscribe to cable TV. The number one reason seems to be cost. I’ve toyed around with the idea of becoming a “cord cutter” but hadn’t made the move yet. This was a perfect time to give it a shot. A quick call to the cable company saved me $120 a month in cable subscription fees and started me on this journey. I purchased the new Apple TV released last week (future review topic for sure), and a new Over The Air (OTA) antenna for local channels. After some initial setup I was ready to roll. The Apple TV allows me to access Netflix ($7.99 a month) and Hulu (also $7.99 a month) so for $16 I’m getting more content than I could ever consume. My Internet cost is reimbursed by my employer so this is working out to be a good deal. 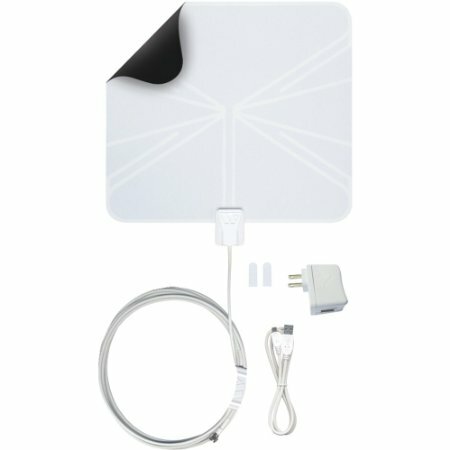 The $60 OTA antenna I purchased from Amazon works amazingly well and pulls in all the local channels along with a bunch of sub-channels that I’ll never turn on. This setup will cover the major sporting events I want to watch as well as some Prime Time shows I watch on occasion. The only thing I’m missing so far are the DVR capabilities and NFL RedZone. I’m learning that most network shows are available for streaming on Hulu the day after they air so if I miss it live I can usually find it online. I’m still in the first week but so far so good. I’ll report back in a few weeks and let you know how it’s going and if I’m still happy with the decision to ditch Cable TV. Have you cut the cord? Are you thinking about? Let me know in the comments section below. Moving into a new house in Feb and will be watching this feed! Who do you use for Internet and how much? My employer won’t pay like yours, but you gotta have it. I had Comcast then U-Verse. Comcast speeds were inconsistent (typical with cable). U-Verse is more expensive but speeds are consistently 18-22 Mb (I’m paying $50 for 18Mb).